I’ve always loved the look of vintage candy wrappers. 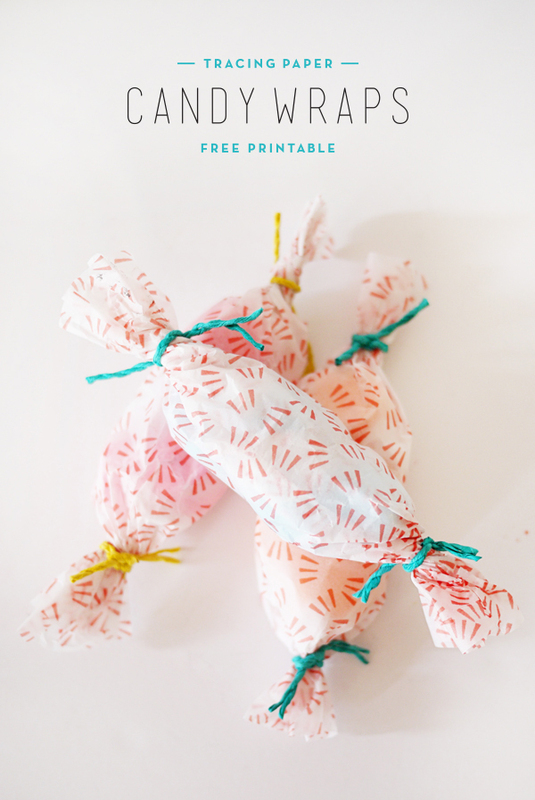 This simple printable takes inspiration from all of those pretty packaged candies and looks especially great if you have some fun colored treats to showcase. 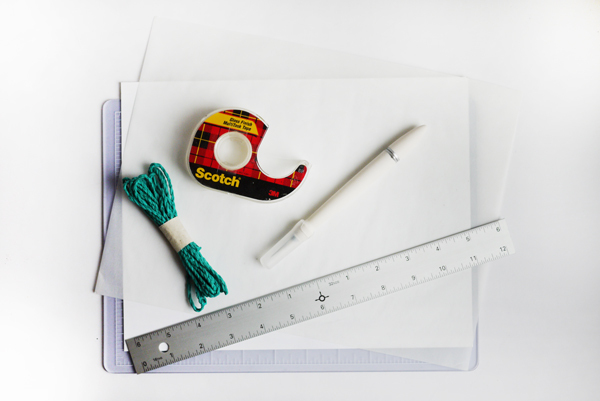 Printing on tracing paper can be a little bit tricky but it’s well worth the end result. 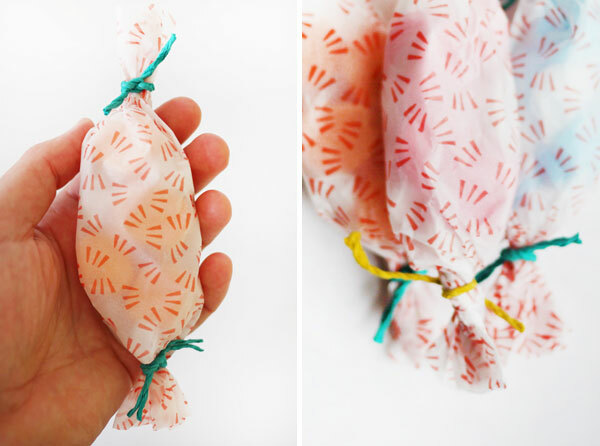 This printed paper also makes great tissue paper! 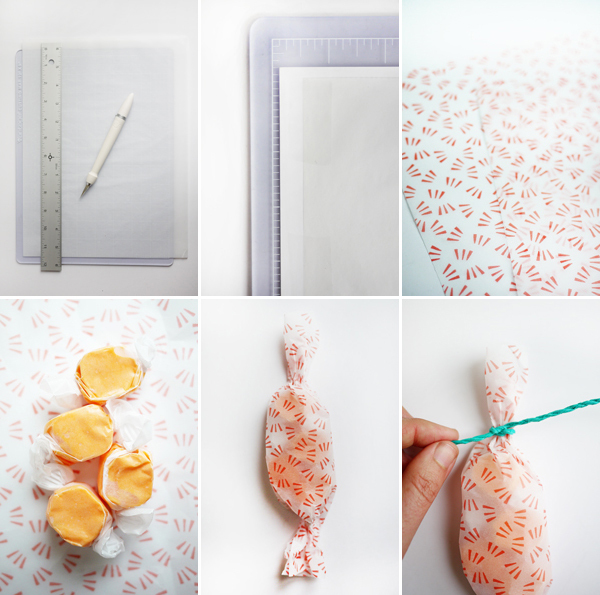 Materials: Printable Tracing Paper Candy Wraps, 8.5 x 11 card stock , tracing paper , ruler , craft knife , tape , pretty candies, string or ribbon. Step 1: Cut down your tracing paper to be about 1/2” smaller than your 8.5 x 11 card stock on all sides. Step 2: Tape the tracing paper to the card stock. You don’t need a lot of tape but it’s good to put a few pieces on the top and bottom and on the sides for extra security. Step 3: Feed taped paper & card stock into your printer and print the the template. You might have to assist the paper so that it starts going through the printer. I found it to be a little bit tricky for the printer to grab the paper but lightly feeding (or nudging) the paper into the printer helped . Step 4: Once printed, cut the tracing paper off of the card stock. If you want to print out several pieces you can use the same piece of card stock and continue taping your tracing paper onto it. 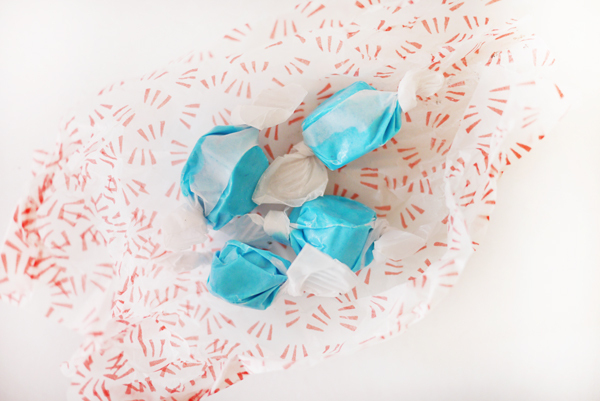 Step 5: Place your pretty candies in the paper and wrap. Pinch the top and bottom of the roll (not too hard as to not rip the paper). Step 6: Tie some cute ribbon or string onto your bundle and enjoy! Very cute! Great idea for the holidays! Great idea. 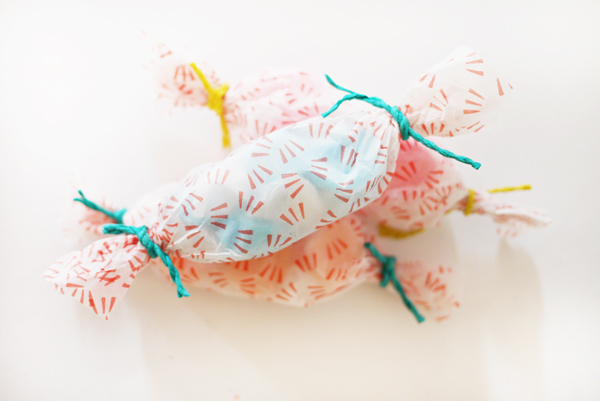 I’ll assume the Paper Candy Wraps for the next birthday.